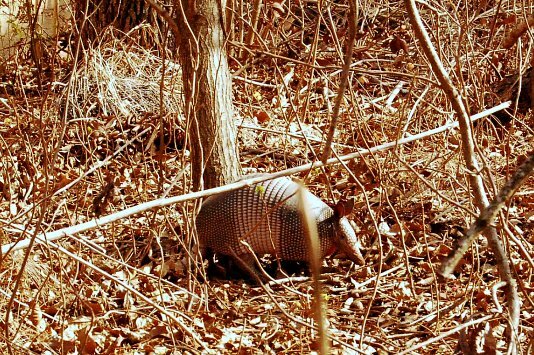 I think this is the first armadillo I haven't seen by the side of the road! No, it is always wonderful to see these Argentina tourists. They pay such close attention to the ground that you can get really close to them without them noticing. Then they scurry or jump. They are so much fun. I love the ears too. Plus their medieval outfits. This is the kind of thing that makes me more inclined to believe in intelligent design, or at least whimsical design. I like the concept of whimsical design. That is the best argument for creationism, the creator can do whatever she likes with respect to nature. And she has. Look at the platypus, God(s) must have been feeling light that day. Wow! I've never seen an armadillo in real life, but I've seen bobcats in our local mountains. Thanks for posting!